Joey and I drove to Houston yesterday . . . after making sure our kids and animals were all taken care of, which is always a bigger deal than I anticipate it being. It's been a long time since Joey and I have had the chance to "get away" just the two of us, so even with the reason for the trip, it was nice to drive and chat and stop at Collin Street Bakery and Cooper Farms store and eat at Cracker Barrel as if we were on a vacation. If you've ever taken an anti-anxiety medication, you know the strange feeling of knowing academically that the facts should be upsetting to you, but feeling inexplicably calm in the face of those still upsetting facts. It isn't truly inexplicable, though, as you took a medication that is formulated to do that very thing. However, recently I have found myself experiencing this very same feeling without any medication, and I am confident that it is the definition of "peace that passes understanding." I will say waking up in a hotel room with the sole purpose of going to a doctor's appointment creates cognitive dissonance for me. Hotel rooms are for vacations, visiting friends, and getting away from the cares of life. Doctor's appointments are crammed in the middle of busy days, boxes checked and something to be quickly moved on from to more interesting and enjoyable parts of your day. Speaking of which, one of the unique ways my brain works is that even with everything else going on a part of me is fascinated by the idea of meeting someone who is extremely intelligent and an expert in their field. When I checked into the Cancer Center this morning, the 21-year-veteran that walked me through registration told me I was seeing the "Big Daddy" when I told him which doctor I was here to see. Logically, it did occur to me that is either really good . . . or not. However, after seeing more than 13 other doctors in the last 18 months regarding my cancer, I am glad to be meeting with someone who specializes in this specific strain and should be able to help provide the answers we have not been able to collect from all of the others added together. It's a humbling experience to walk into one of the premiere cancer centers in North America. Almost everywhere you look there are really ill people: bald heads are covered, skeletal bodies are frailly but determinedly marching on to their next treatment, some are unable to walk or even sit up yet are returning for additional treatments. The thought occurred to me that I was certainly one of the healthiest cancer patients in the facility today - another mentally and emotionally disconcerting concept for me to wrestle with. The 21-year-veteran I mentioned before checked me in to the facility, and, boy was he a character. But, you know, he reminded me that our attitude sure does affect the people around us and, either, makes what they're experiencing easier or more difficult. He was funny, light-hearted, and incredibly helpful, all while he shared lots of personal opinions and insights. In the end, I found myself very grateful that he was the person God had purposely allotted to settle me in to this process today. 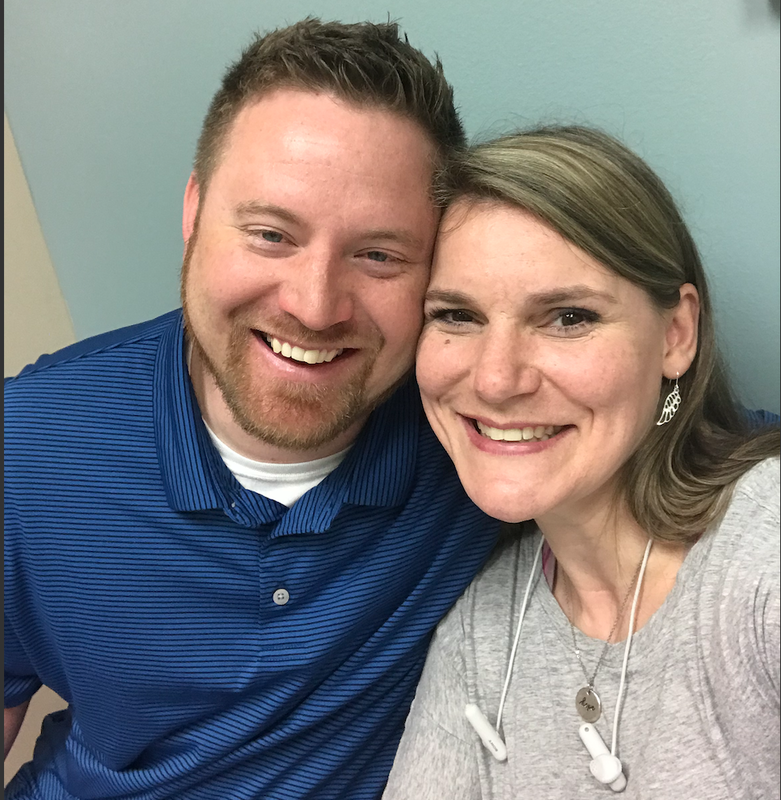 We have seen His hand in so many little things as we walk this journey, which was one of my prayers from the point that we found out we likely weren't done after the first round of treatment. Now I sit waiting for my appointment with the "Big Daddy" doctor, and currently scheduled for at least blood work and an ultrasound with a likely biopsy following that. Thank you to everyone of you who has texted, called, sent encouragement, loved on my boys, watched my dog, made me laugh, or just plain loved on me so far. You are absolutely the hands of God at work to help provide and maintain that peace that passes all understanding. Love you. Praying for you. Let us know if we can do anything. Even gimping along we can send teenagers. Oh sweet friend, sometimes you get to take care of yourself - this is one of those times. If I need a mental break, I'll come just sit and we can watch a movie or just talk incessantly. Love you! Bonus points for cancer appointments allowing you time to indulge your writing gifts. Praying for a continued peace, an eventual plan, and more positive people like the one you've already met. Amen! Funny how that works, huh? I've written twice in one day. Couldn't tell you how long that's been. Love ya, girl! Praying that "Big Daddy" knows exactly what your body needs. Since this isn't signed, I can't properly thank the leaver of the comment . . . but I know plenty of my friends who would find your comment full of laughter which is the best medicine, right?